> Duplicates. Select or deselect the options you want by clicking on the check boxes.When you attempt to transfer the record to SalesForce the program will check if there are any duplicate Account records and Contact records. If a potential duplicate is found, it will display a Resolve Duplicates window where you will be able to verify the duplicate record. 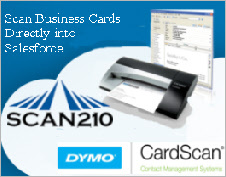 Scan business cards into SalesForce using the CardScan business card scanner. CardScan® for SalesForce is the proven data entry solution that makes it easy to capture and enter contacts – completely and accurately – into your SalesForce system. — and then transfer everything directly to SalesForce.com with a single click. With CardScan® for SalesForce, you’ll put an end to typos and other manual data entry errors. 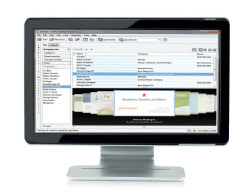 You’ll dramatically reduce incomplete or inaccurate records. And you’ll eliminate duplicate records – because CardScan software spots and flags duplicates automatically as it transfer data to your CRM system.